Governor Cuomo announced he’s easing some environmental regulations so that dairy farmers can more easily own more cows. 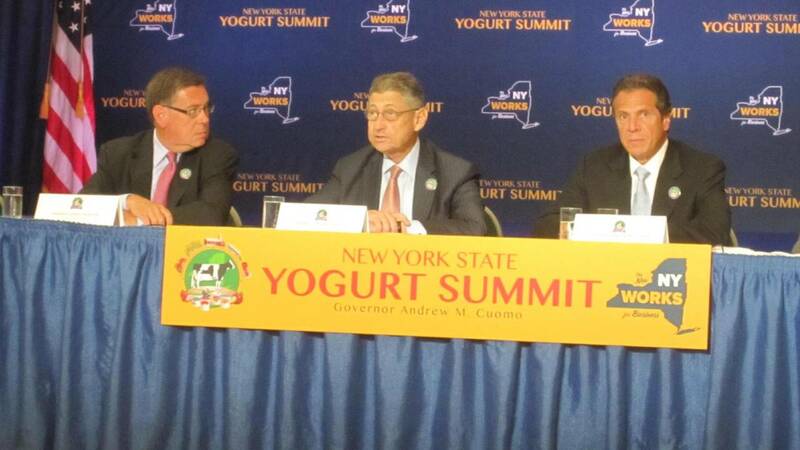 The news came at the first ever yogurt summit convened by Cuomo at the State Capitol. Cuomo chaired a public meeting that brought together dairy farmers, yogurt makers and an array of state officials. He says with the phenomenal success of Greek yogurt, the struggling upstate economy has been presented with one of the best entrepreneurial opportunities in “30 or 40 years”. The rapid growth Greek yogurt has revived the dairy industry in New York. Two new processing plants in recent months employ 1800 people, and Chobani yogurt, based near Utica, is now the number three yogurt producer in the nation, and was even an official sponsor of the recently concluded Olympic games. The industry has been growing so quickly, however, that the state doesn’t have enough cows to produce all the milk that’s needed. 3 gallons of milk go into every one gallon of Greek yogurt. It’s estimated that 180,000 more milk cows are needed to keep up with the growing production. Many smaller dairy farmers are complaining that some environmental regulations are holding them back from helping the yogurt industry reach that goal. The state currently sets a threshold at 200 cows, before requiring that extra steps are taken to protect water supplies from pollution by cow wastes. It’s part of what’s called the Concentrated Animal Feeding Operations, or CAFO rules. Kerry Adams, a fourth generation dairy farmer at Black Brook Farms in Ontario County, plans to expand from 60 to 199 cows. She told the Governor and others on the panel that buying even just one more cow and crossing over to the 200 mark would be cost prohibitive. “It will cost us $2400 per cow to implement the regs,” Adams said. Adams says she’d have to build a new barn. The current one is located too close to a stream to comply with the CAFO regulations. The new barn would cost $200,000, and she says she’d have to invest another $200,000 in better manure processing. After several farmers had testified, Cuomo took a break to huddle with some of his top aides. 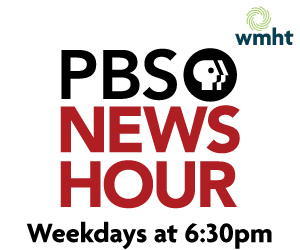 Afterward, Agriculture Commissioner Darrell Aubertine announced that the rule would be changed. Governor Cuomo later clarified that the rule could not be instantly changed, but would have to go through the normal review process. “It’s not done, because you have to go through the notice and comment period,” Cuomo said. The governor says it will take several months for the rules change to go through the process, and those with objections will get a chance to comment. Several environmental groups, including the Sierra Club and Hudson Riverkeeper, issued a statement saying they were “very concerned” with the proposed rules change. The farmers and others at the summit also talked about how to build on the current successes. They suggested diversifying products, and perhaps building a fruit processing plant so that fruit from local farms could be used for the yogurt.